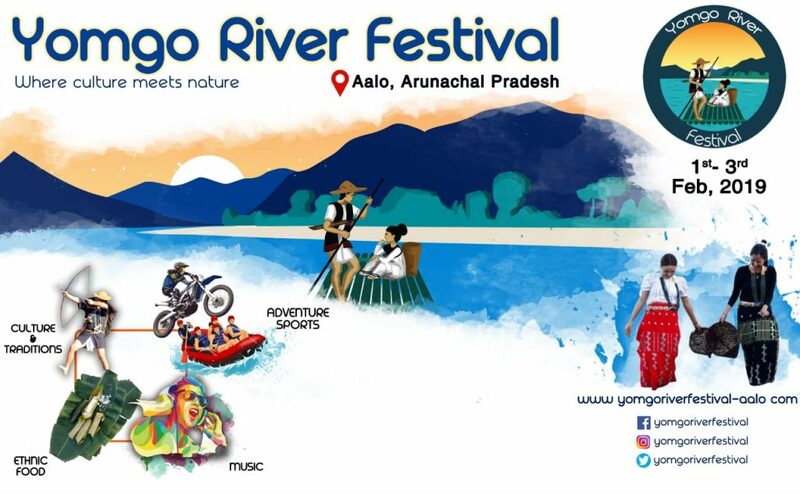 The Yomgo River Festival 2019 is all set to be held from February 1 to February 3 at Aalo, a town in West Siang district of Arunachal Pradesh. The three-day festival has various exciting features lined up like cultural exhibitions, adventure sports and adrenaline pumping music. Visitors will also get to satiate their taste buds with local ethnic cuisine in the picturesque town with pristine natural beauty. Various bands like David Angu and the Band, Guru Rewben Band etc will enthrall the visitors at the festival. Some of the adventure activities lined up for the festival include bike riding competition, cycling competition, angling, rafting, ziplining, zorbing ball, trekking etc. For the angling challenge, the first three winners can take home cash prizes of Rs 80,000, Rs 50,000 and Rs 30,000 respectively. For the bike riding competition named as the Motocross competition, there is a lucrative cash prize for the winners.